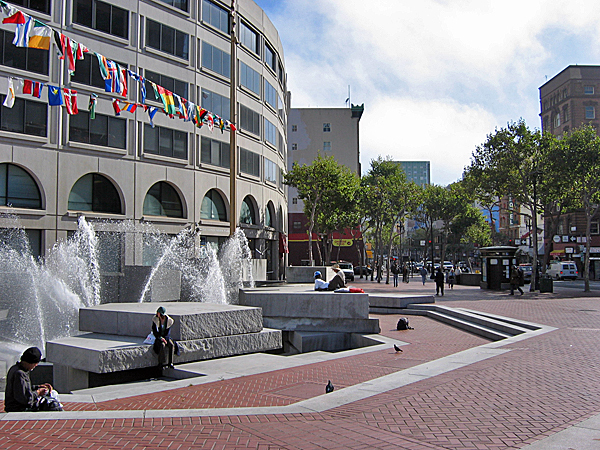 Located on Market Street at the eastern edge of the city’s Civic Center complex, the 2.5-acre pedestrian space was created by closing Fulton Street at Hyde Street. 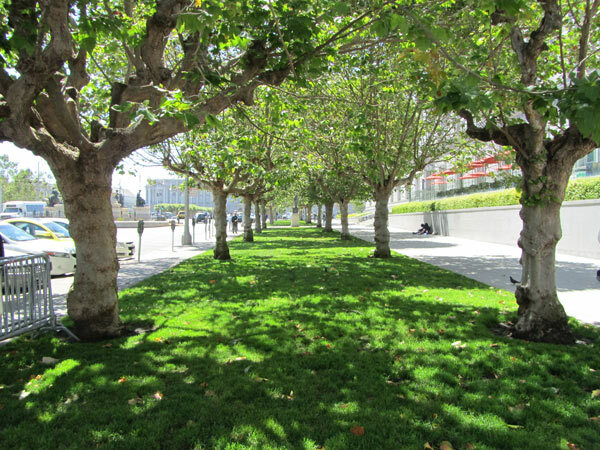 It was built at the time of the Market Street Reconstruction Project in conjunction with the underground BART system and station on the site. 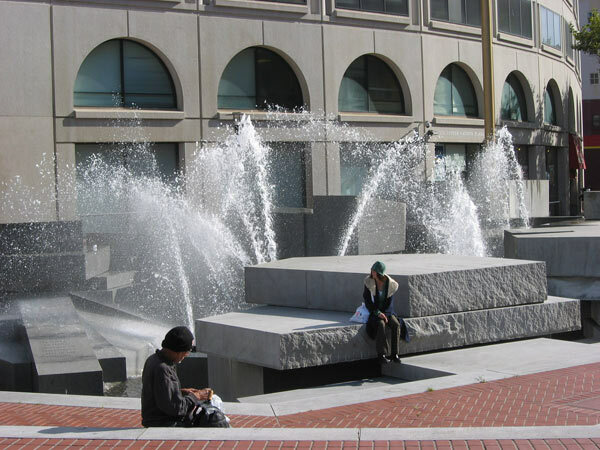 The asymmetrical, red-brick plaza was designed in 1975 by Lawrence Halprin, along with the architectural firms Mario Ciampi and Associates and John Carl Warnecke and Associates. It commemorates the signing of the 1945 United Nations Charter in the nearby Veterans Building. 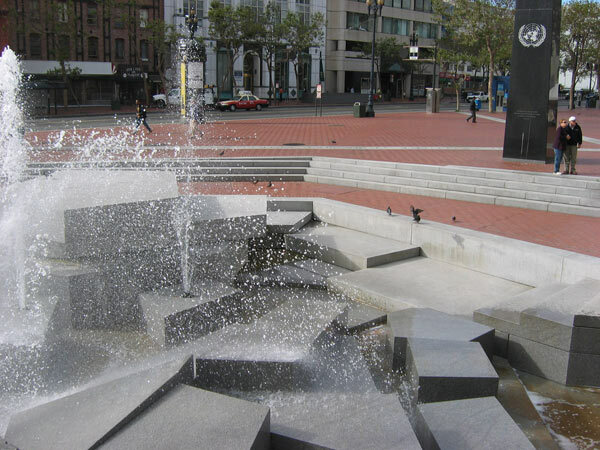 Halprin conceived of the plaza as a dynamic, active public space connected physically and visually to the Civic Center and to Market Street, the spine of the city. 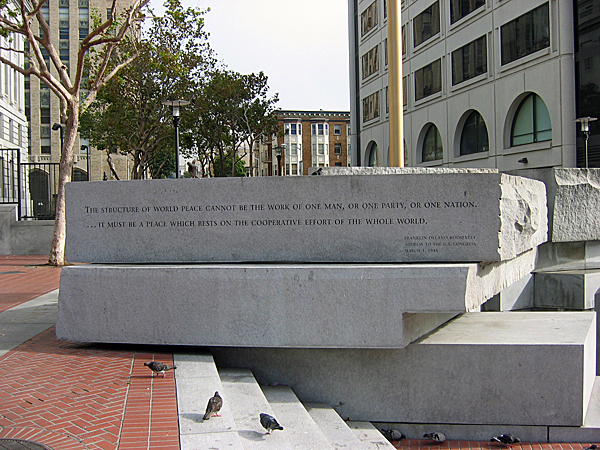 At the western end of the plaza are tree-shaded columns inscribed with the names of the United Nations member countries, as well as an equestrian statue of Simón Bolívar, a gift from the government of Venezuela to the city of San Francisco. 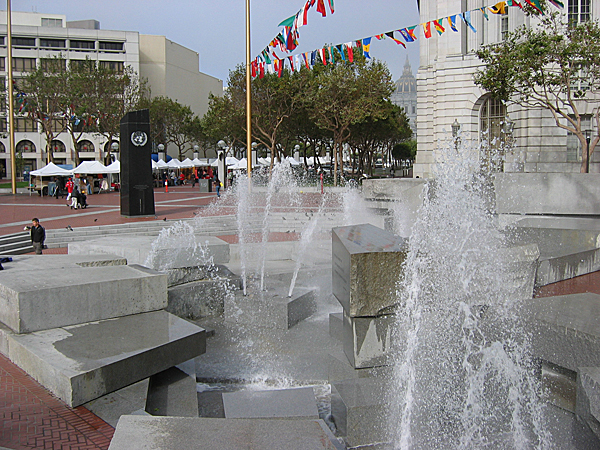 On the eastern side the focus is a sunken sculptural fountain formed by asymmetrical, stacked granite blocks and animated with arcing water jets. 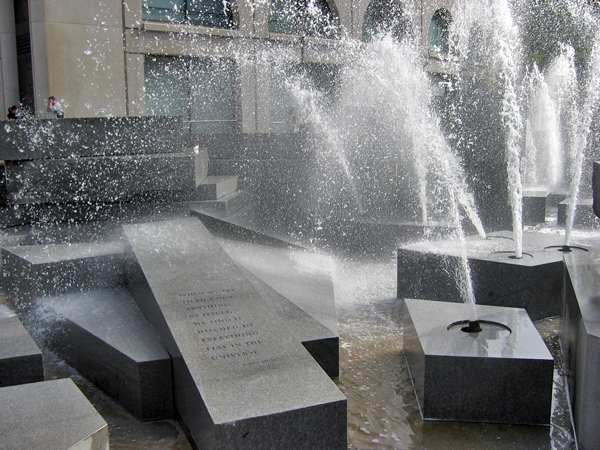 After years of decline and following consultation with Halprin, the fountain was refurbished and rededicated in 1995, the 50th anniversary of the signing of the Charter. 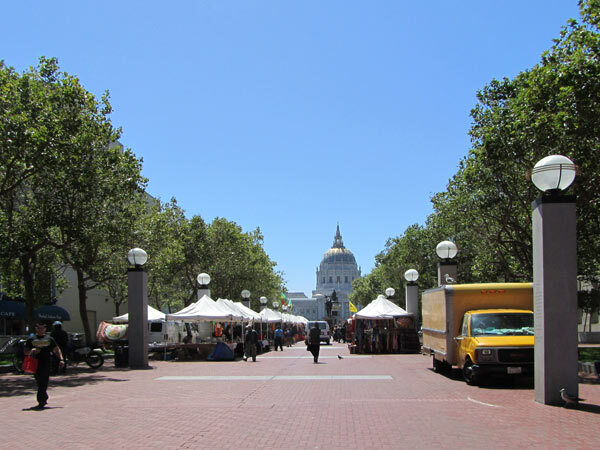 The plaza is home to a popular farmer’s market several days a week.